Approximately 150 million households around the globe are engaged in milk production. In most developing countries, milk is produced by smallholders, and milk production contributes to household livelihoods, food security and nutrition. In the last three decades, world milk production has increased by more than 50 percent, from 482 million tonnes in 1982 to 754 million tonnes in 2012. India is the world’s largest milk producer, with 16 percent of global production, followed by the United States of America, China, Pakistan and Brazil. Since the 1970s, most of the expansion in milk production has been in South Asia, which is the main driver of milk production growth in the developing world. Milk production in Africa is growing more slowly than in other developing regions, because of poverty and — in some countries — adverse climatic conditions. The countries with the highest milk surpluses are New Zealand, the United States of America, Germany, France, Australia and Ireland. The countries with the highest milk deficits are China, Italy, the Russian Federation, Mexico, Algeria and Indonesia. 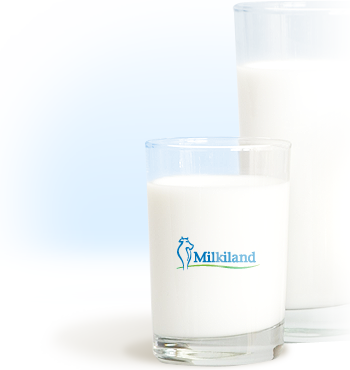 Milkiland is a large international diversified dairy producer with the core operations in the CIS and EU. The Group’s total annual milk processing capacity exceeds 1 million tons which makes it one of the biggest dairy producer in Eastern Europe. Milkiland Agro is farming subsidiary of Milkiland Ukraine operating over 3,000 milking cows. The total land area cultivated by this company is about 24,000 hectares. Considerable part of milk producing in Ukraine the company collects from number of private or small farmers’ companies. The process of collecting milk originally involved significant amount of paper-based management. Company decided to automate this which become our job — to design, impement, deploy and support the Internet-based milk collecting management system. As you can see milk production in the world is increasing and the problem Milkiland struck with is common over the milk producers all round the world. Considerable part of milk is produced by small or private farm and logistics is based on gathering relatively small amouns of milk from multiple farmers and then carry it corresponding company’s process to a storage or facility to further processing. As most of such companies are relatively small they use straightforward paper-based process. All the participants, company people and farmers, write and operate paper documents: log journal, checks etc. Such paper-based process is easy to setup but in fact not easy to maintain. Here we see two factors: a). human beings are inevitable doing mistakes consciously or unconsciously b). accounting even in the smallest companies are computer-based and uploading data to it is just typing what they have on their papers. The only rational solution is to provide paper-free technology, affordable and easy to use, to substitute papers. This project is a ready-to-use solution that easily adapts to any process including integration with your existing IT infrastructure. The system we propose created with having in mind few simple ideas. We made it for unskilled workers, farmers, truck drivers etc who should not have any expirience in IT. From the end user point of view the system is represented by an Android tablet and printed QR codes. From the system administrator’s point of view this is a backend server and a bunch of tablets. A man who collects milk possesses a tablet with our application installed. He/she asks a farmer to show their printed QR code, scans it, and manually types amount of milk. The farmer receives SMS with amount of milk provided. Then a collector moves to another farmer and the process repeats. By the end of reporting period, a week or a month, farmers were sent a printed report. Company's office has access to the data instantly and manages collectors' activity. According to company's process they transfers data from the milk system to their accounting system.